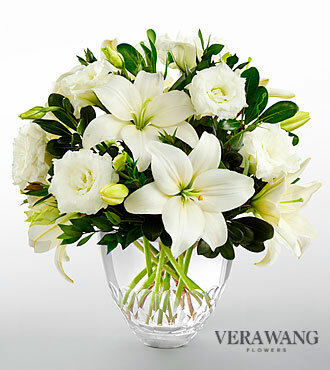 The FTD Glory Be Flag Tribute is a symbol of patriotic beauty to commemorate the life of your loved one at their farewell service. 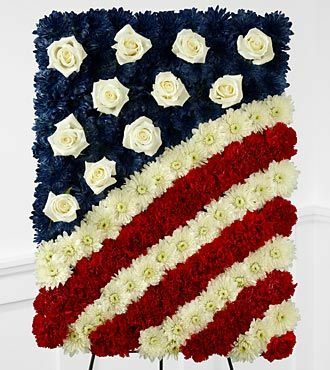 Red carnations, white chrysanthemums and blue dyed white chrysanthemums create a stirring arrangement in the likeness of the American flag with white rose accents to symbolize the stars. 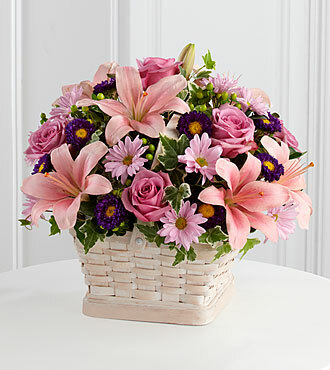 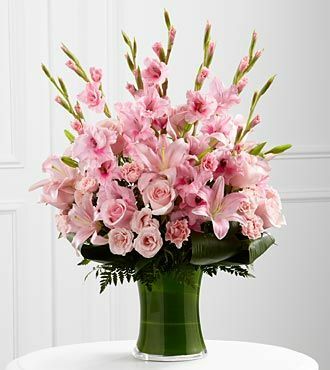 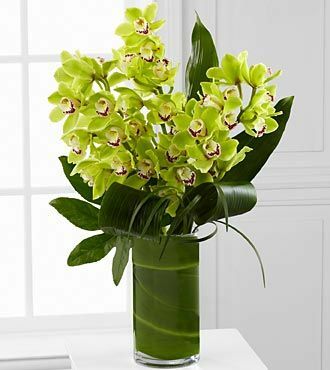 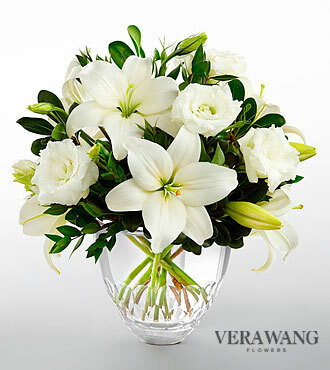 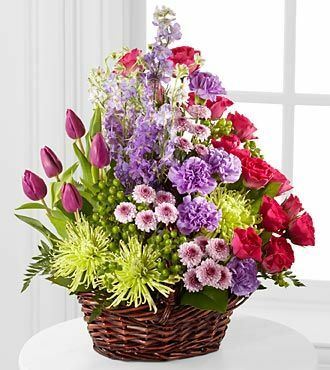 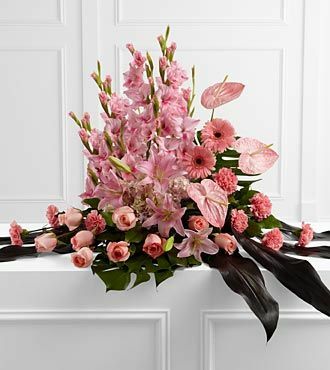 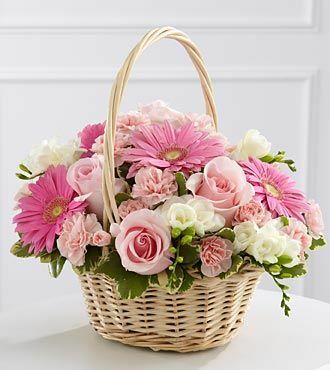 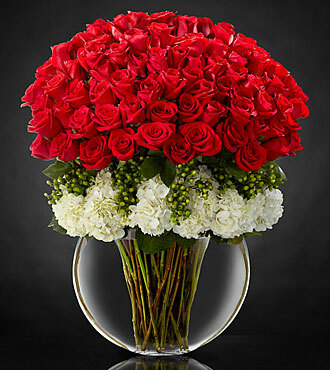 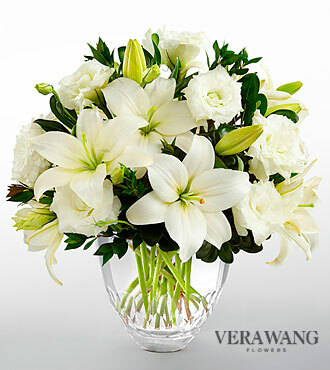 Displayed on a wire easel, this exquisite arrangement will bring comfort and peace to their family and friends. 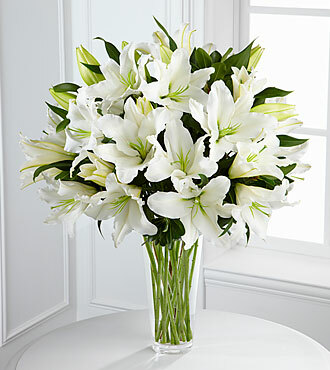 Approximately 24H x 18W.